Generally franking machine manufacturers do not like to provide the price of their products, this makes it very challenging to find out how much you can expect to spend on a franking machine. The best way to combat this is to request a quote. We understand that if you aren’t really sure what you are looking for yet it can be frustrating so we’ve created this rough guide to prices in order to help you better understand franking machines and what your company requires. More often than not, the prices you can find online are usually inaccurate or no longer up to date. It is very challenging to find information that is relevant to the franking machines your business is interested in just by browsing the internet. In order to get accurate pricing we advise you to fill out our form and request a quote, by doing this we can discuss your franking needs and give you correct quotes based entirely on your requirements and the machines that best match the needs of your business. Franking machines are categorised into three groups, these are: low volume, medium volume and high volume. These categories refer to the amount of mail the franking machine can process so you will need to calculate how much mail your business is sending each day/week and see which category best suits your mail output. If you have a small or new business you will most likely be sending a relatively low total of mail, this means your needs and requirements from a franking machine are different from large, corporate businesses who send thousands of items each day/month. 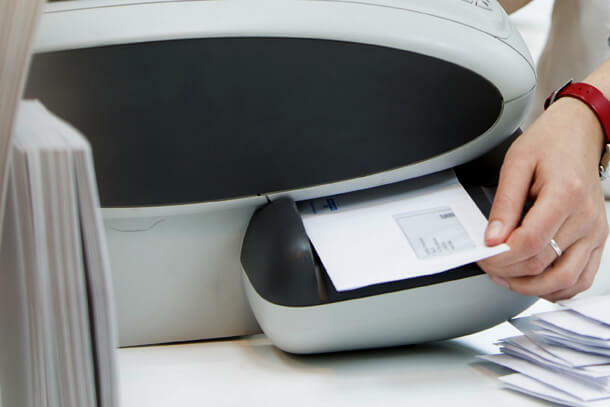 Generally low volume franking machines can process around 100 letters a day, medium volume between 100- 1,000 letters and high volume over 1,000 letters each day. The main differences between the machines aside from the daily processing abilities are the features: low volume franking machines come with the standard features and are generally manually operated whereas high volume franking machines are often fully automatic and come with the option of many additional features such as an envelope sealer and letter stacker to further lessen the human labour involved making it even easier and quicker to frank large amounts of mail. Using a franking machine should save you time, money and really simplify the whole mailing process. Franking machines can cost a lot (from slightly below £1,000 up to over £20,000) to buy outright so many companies often opt to rent instead. Renting a machine takes away the daunting large initial investment of buying while still giving you the great franking discounts. A franking machine gives your mail a more professional look, you can often advertise or include a logo on the envelope and it will also save your employees time in the mailroom. Regardless of whether you buy or rent you will have access to these benefits. Renting a machine means you will be able to more easily upgrade to a higher volume franking machine if that becomes necessary in the future. How Much Does Franking Machine Rental Cost? A standard low volume franking machine will send around 100 letters a day and will cost around £20 – £40 a month to rent. A medium volume franking machine will be able to send up to 1,000 letters a day and is likely to cost between £40 – £80 a month. A high volume franking machine will send over 1,000 letter a day and will generally cost from £80 up a month to rent. This is a very rough guide and the pricing will depend on the size, speed and features of the machine, this is something that will need to be determined by your company’s needs as you want to make sure the machine has the features you need and that it doesn’t have a lot of features you’re unlikely to use. In order to strike the perfect balance the best thing to do is to call us for a quote so we can discuss your requirements and give you a price for the machines that are best-suited to your company’s needs. The price of a franking machine varies considerably as each one delivers something slightly different and as you move between the volumes you find an increase in cost, size and abilities in accordance to the amount of mail that can be franked. The pricing on this page is a very rough guideline designed to give you an idea of how much a franking machine could cost. To find out accurate, tailored to you, costs then request a quote and we will help to take the frustration out of finding franking machine prices.